This termite species can damage timber in service however prefers weathered and decaying timber. Damage to gyprock walls is very common. One of the slower moving termites. This species builds mounds. 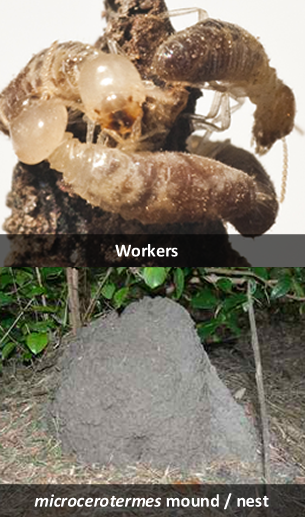 If you Take a stroll through bushland in Brisbane, you will see light brown coloured Termite Mud Mounds up in the trees, on stumps, on power poles and posts or mud mound nests on the ground. They can also be found nesting in roof cavities or inside walls. This Termite is one of the lesser aggressive of the common Brisbane species. Damage from this species in South-east Queensland is rarely structural, however damage to gyprock, decorative timbers and stored products containing cellulose (paper products and carboard etc.) is a common sight to a Brisbane termite inspector. 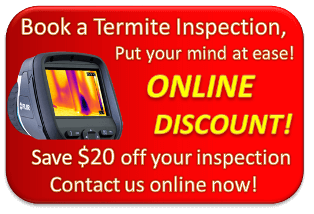 For more information see our Termite treatments page or Ask our technician.